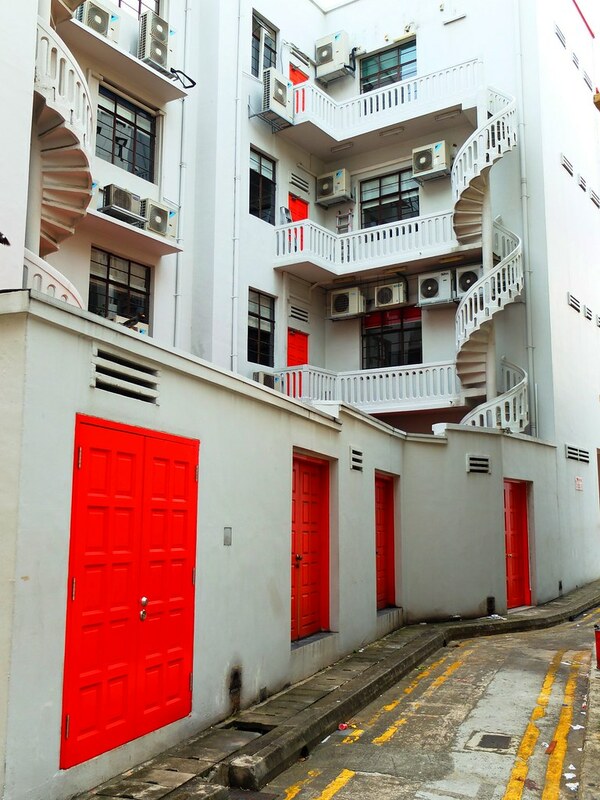 After spending mostly my weekends and evenings visiting potential places to live I am more than happy to finally reside at Tiong Bahru. 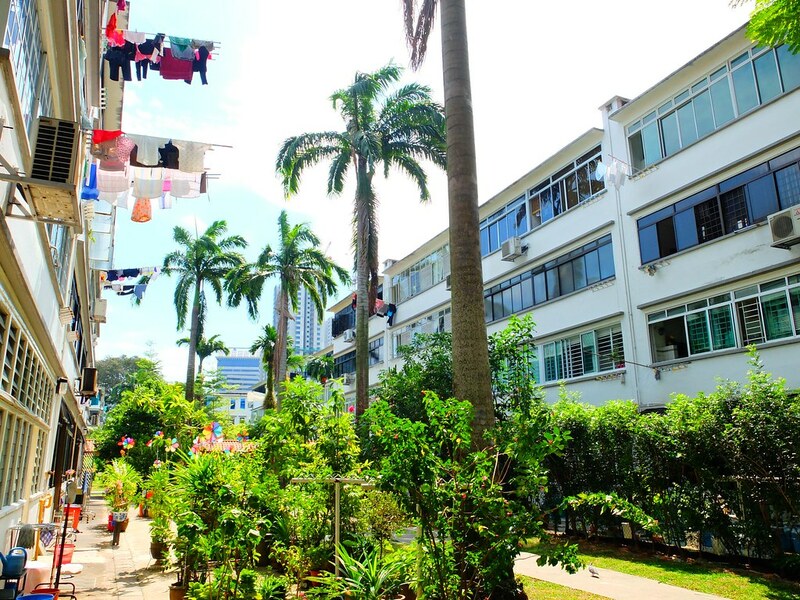 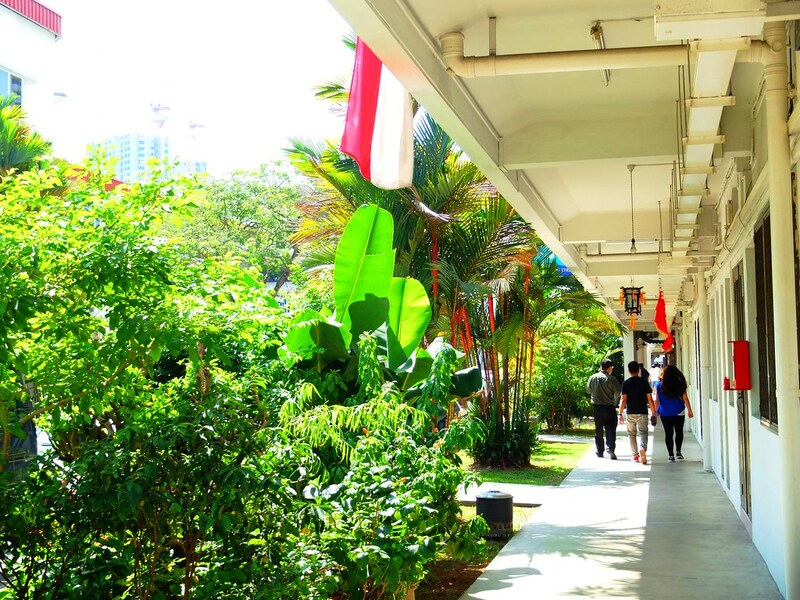 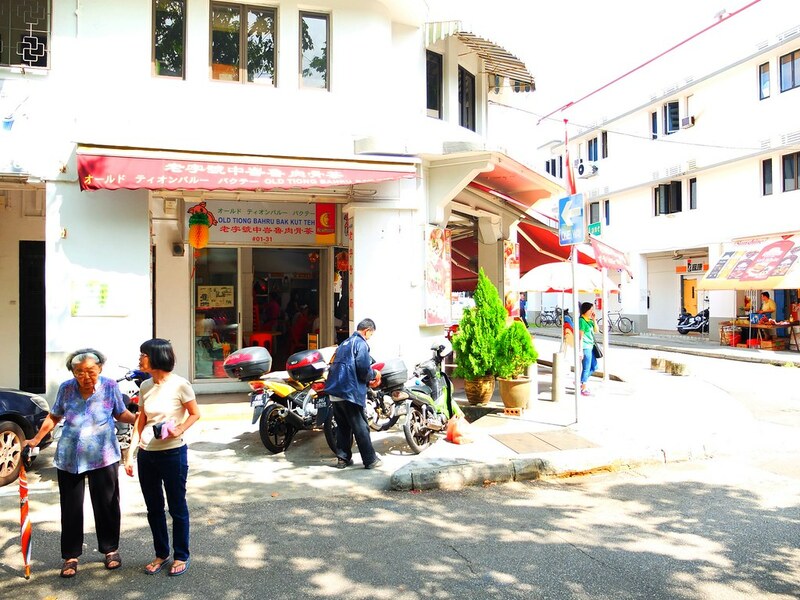 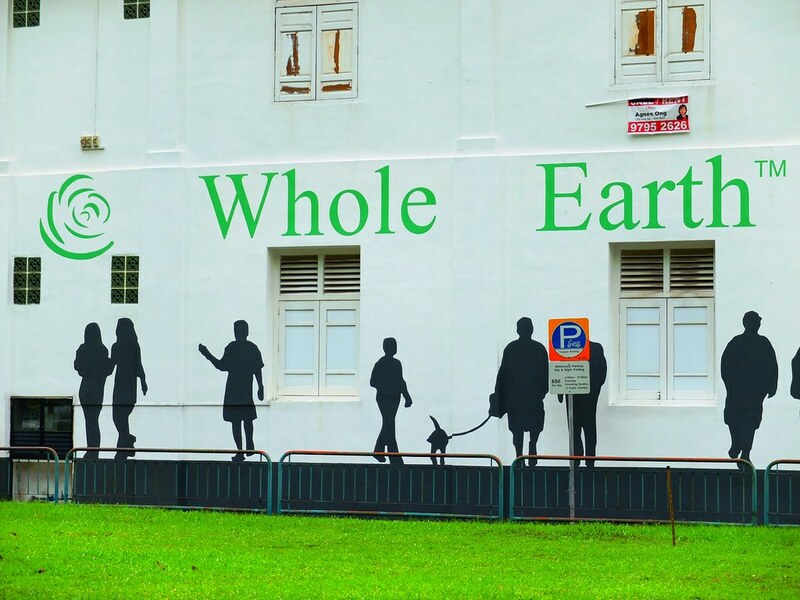 A bordering district to the city center thus enjoying both the convenience of city living and residential suburban appeal, Tiong Bahru is gaining popularity for being a “hip” neighborhood, a contradicting image to what once considered an estate for the elderly. 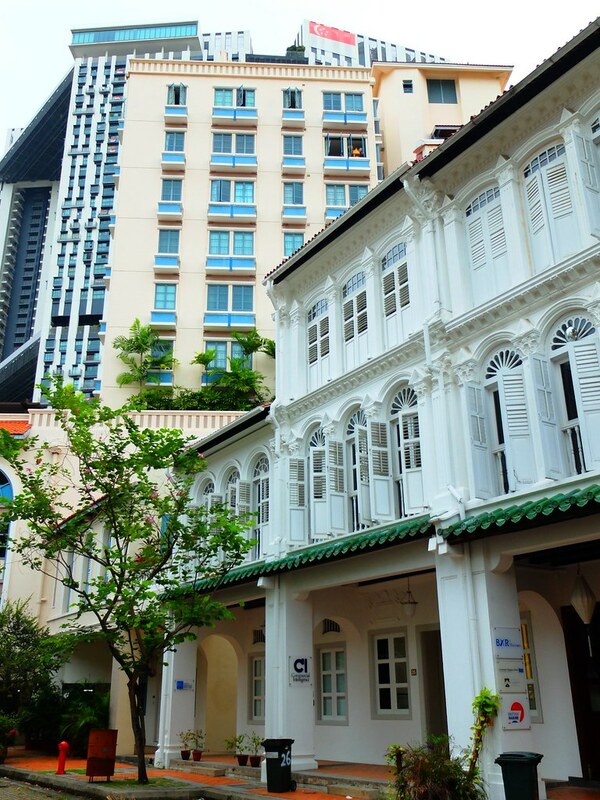 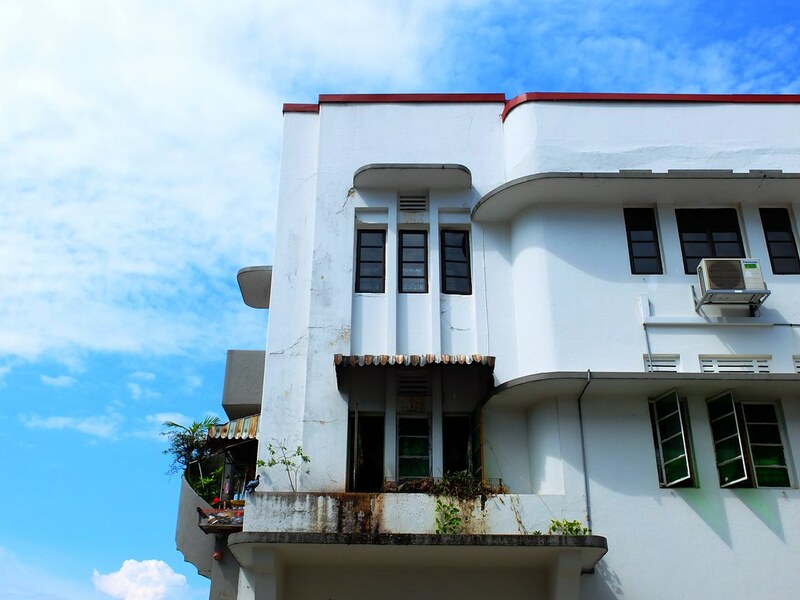 Added much to the distinction are the two to five storey white facade houses built in 1930s by the British administered Singapore Improvement Trust (SIT). 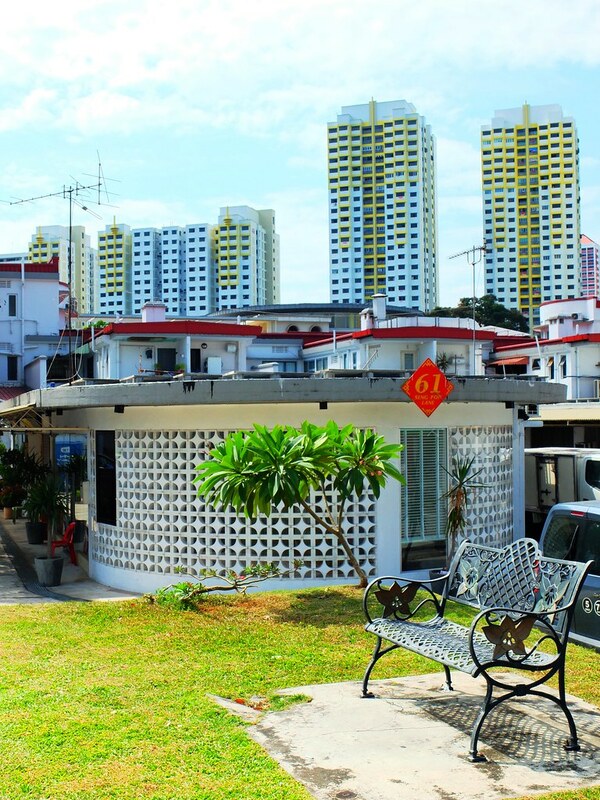 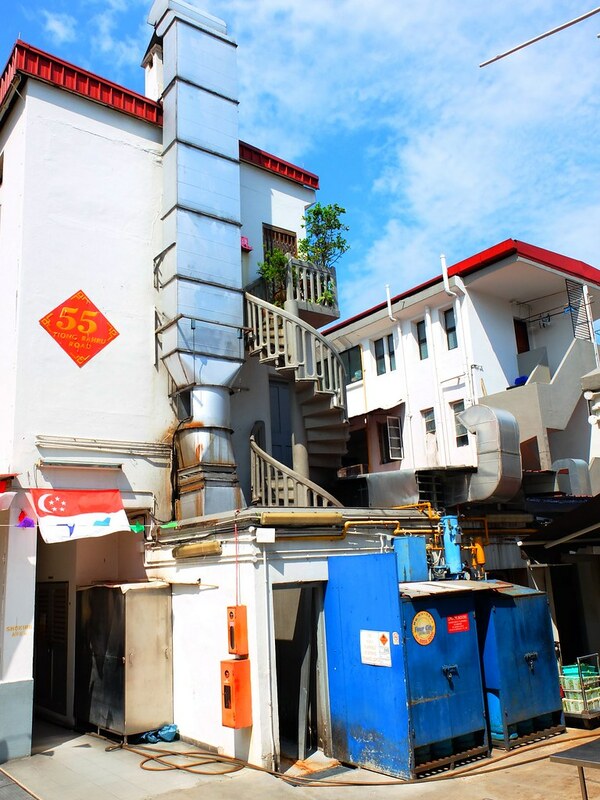 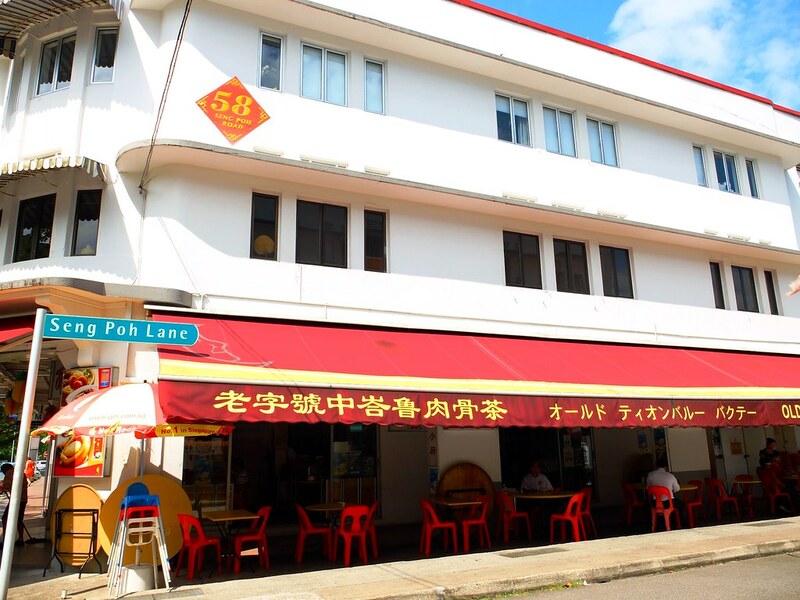 In fact these old-style residential building is actually what gives Tiong Bahru neighborhood the distinctive homey appeal particularly in a city where there are never-ending development of high-rise public housing buildings and condominiums. 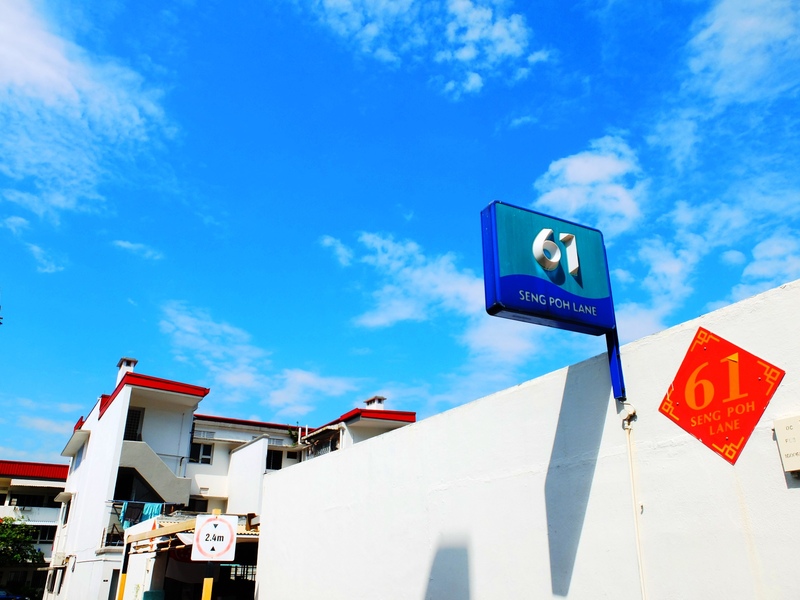 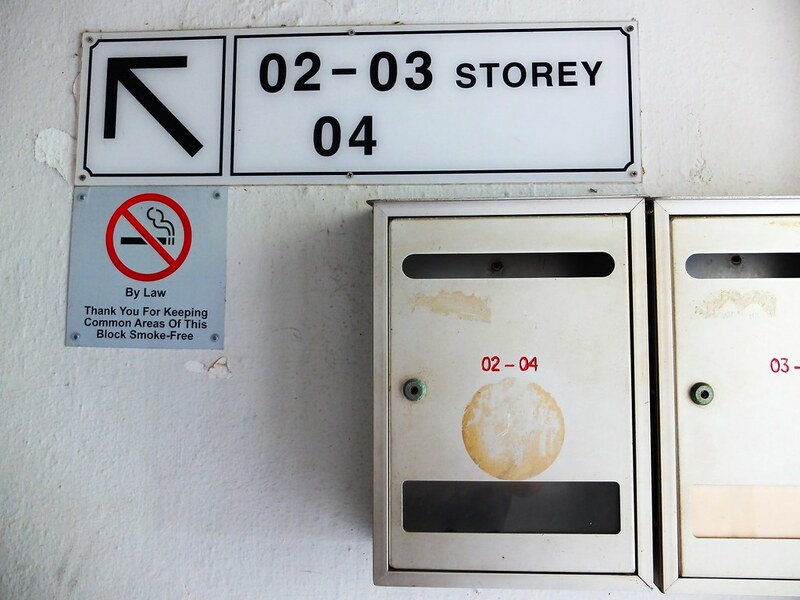 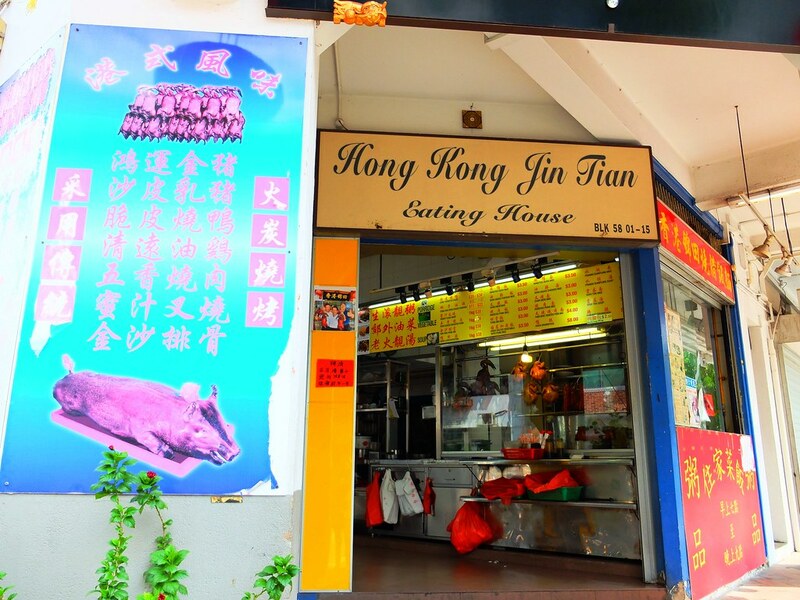 Tiong Bahru is known as one of Singapore’s foodie haven, starting from the hawker center at the second floor of Tiong Bahru Market, to the Chinese Restaurants at the nearby bus stop and the variety of specialty cafes which include the famous Tiong Bahru Bakery by Gontran Cherrier. 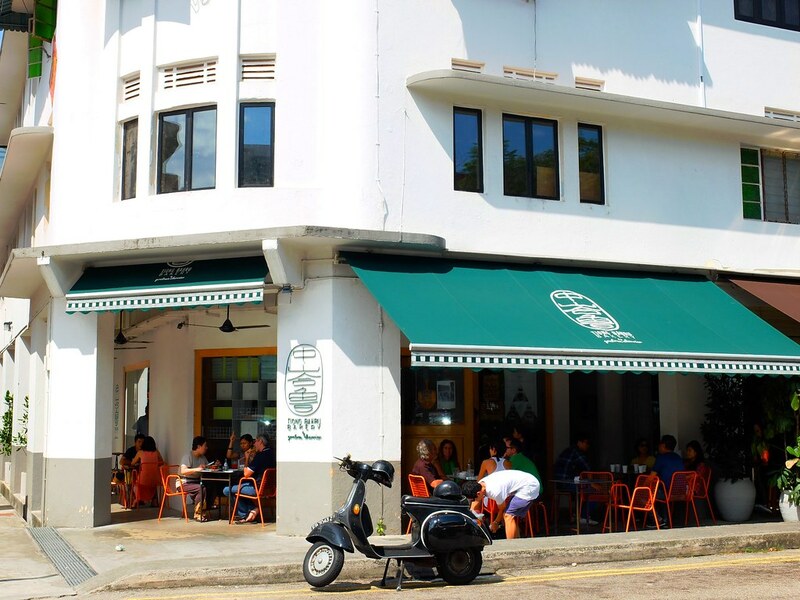 I think what makes the cafes at this neighborhood popular are the location itself, where you can sit alfresco, read a good book and just let the time passed by. 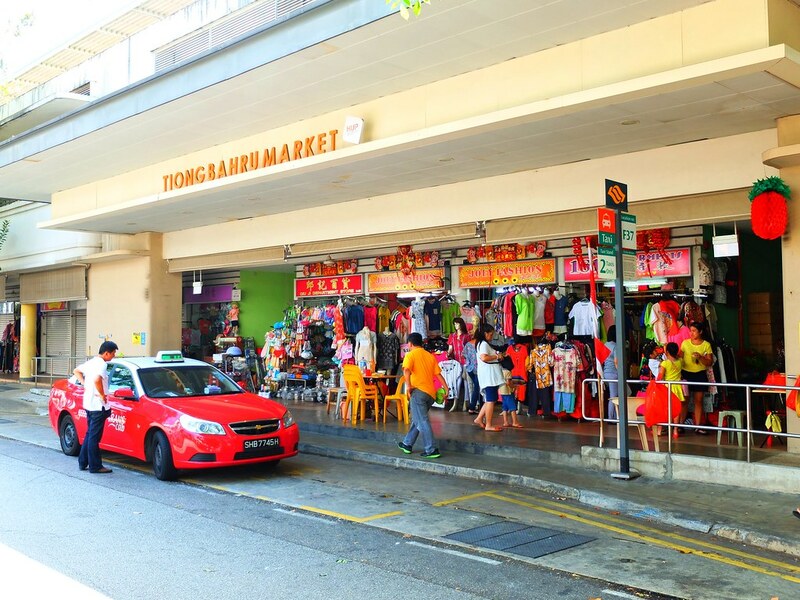 One MRT station away from Tiong Bahru is Tanjong Pagar. 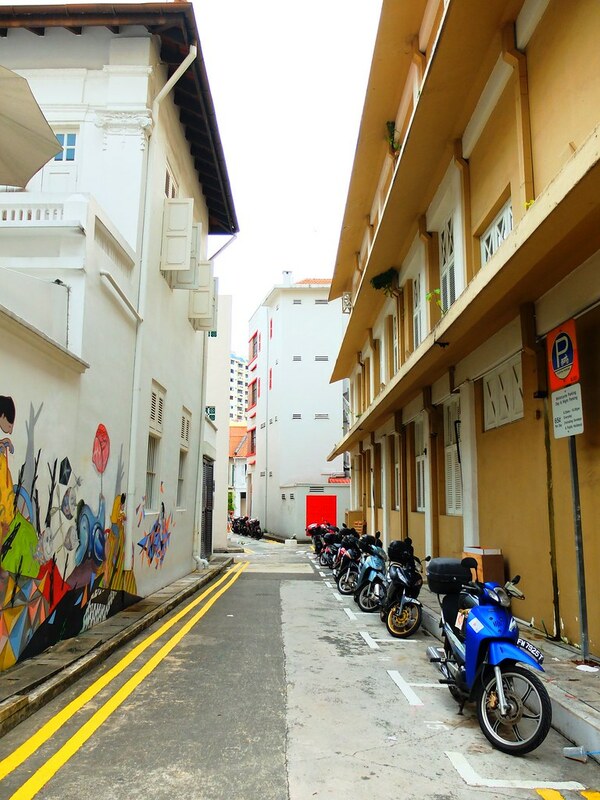 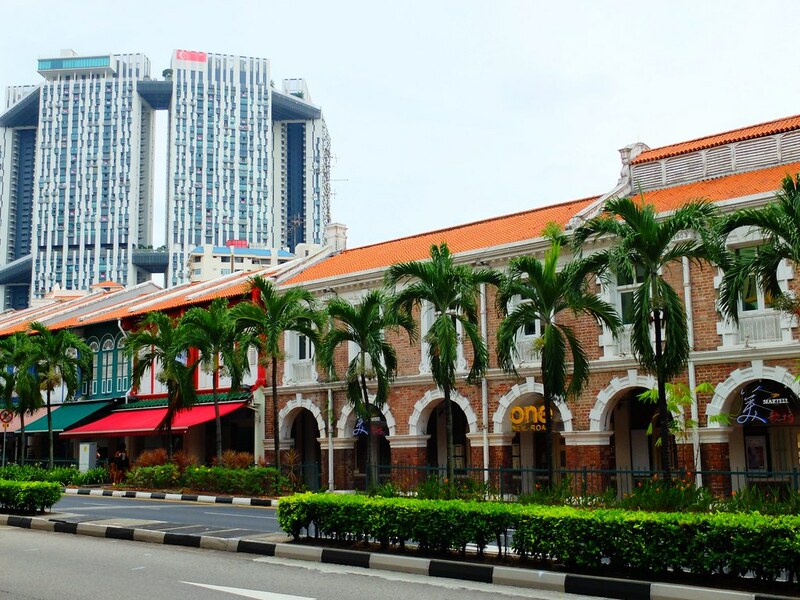 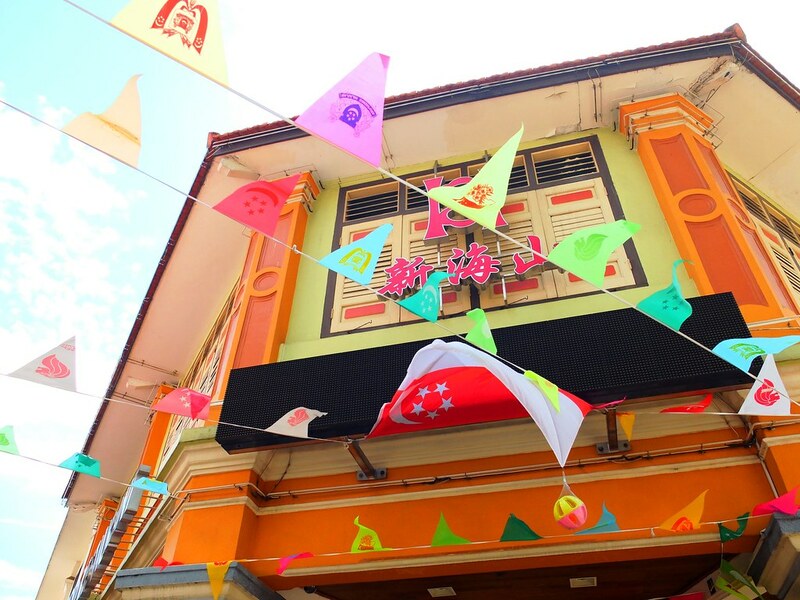 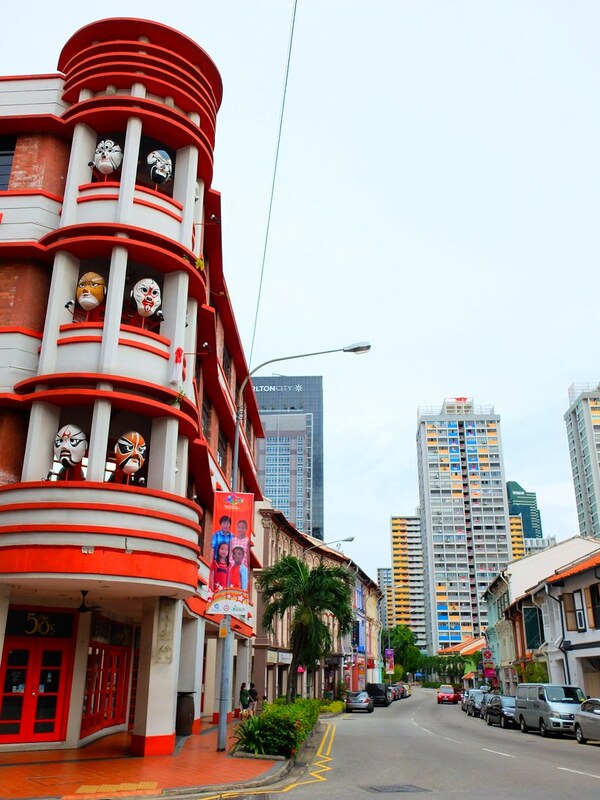 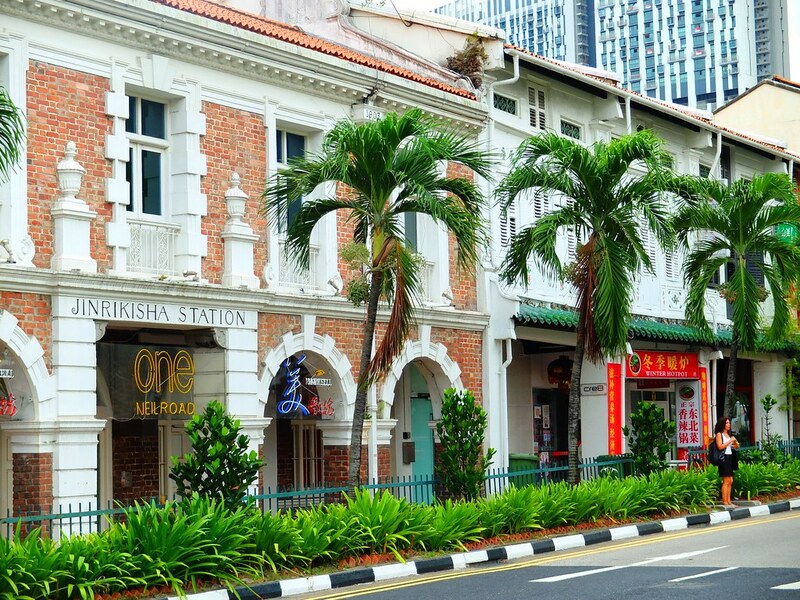 Originally a fishing village, Tanjong Pagar nowadays is a thriving place of offices, bridal shops and pubs. 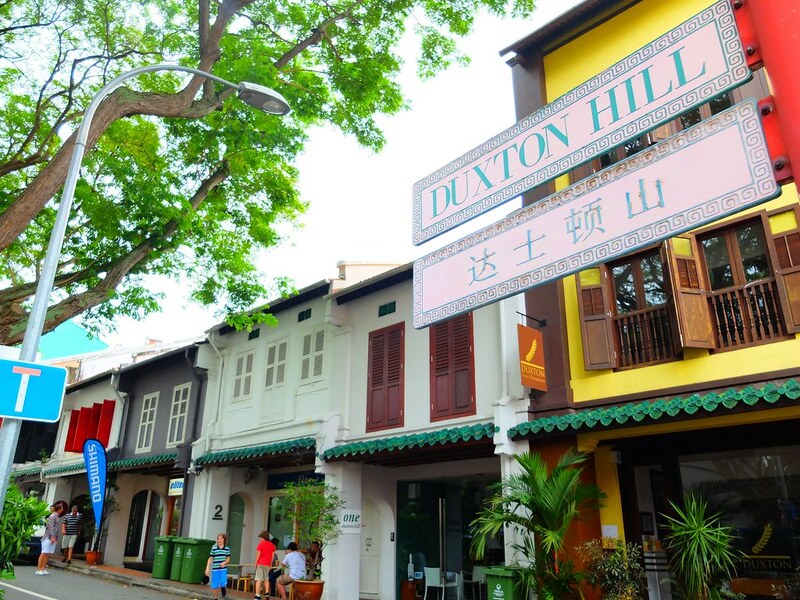 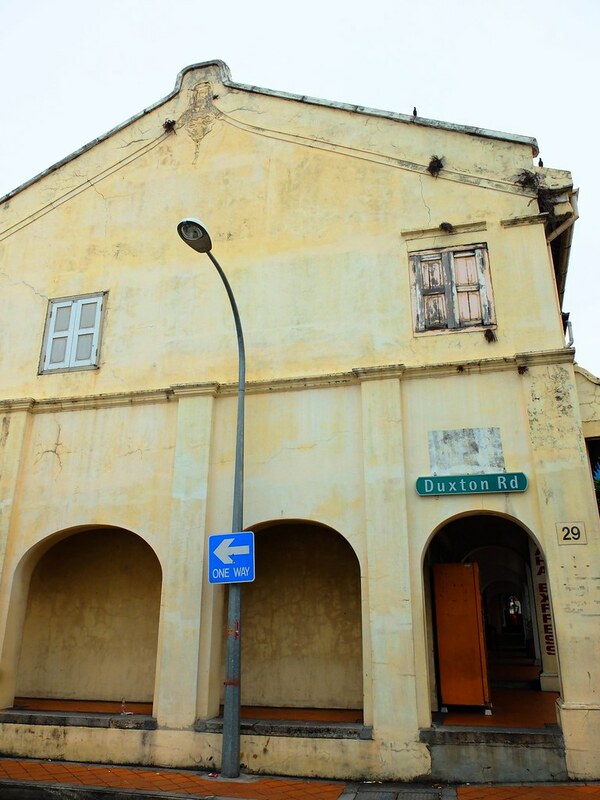 The historically important pre-colonial shophouses at Duxton Hill and the red-brick facade of Jinrikisha Station are transformed into more restaurants and bars. 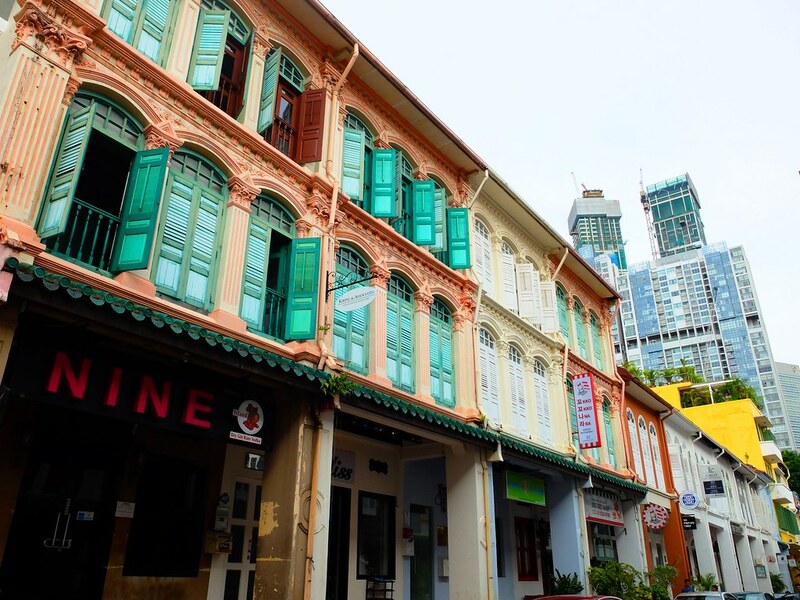 Like other places in Singapore, the view of the towering buildings of business district and the nearby residential building of The Pinnacle at Duxton Hill over the two-storey shophouses is Tanjong Pagar most formidable view. 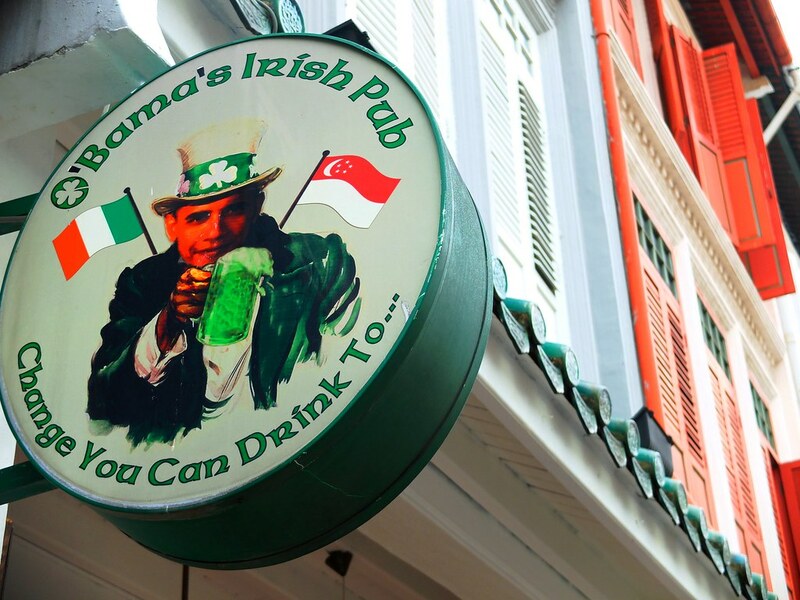 Followed your journey living in Japan and now in Singapore! 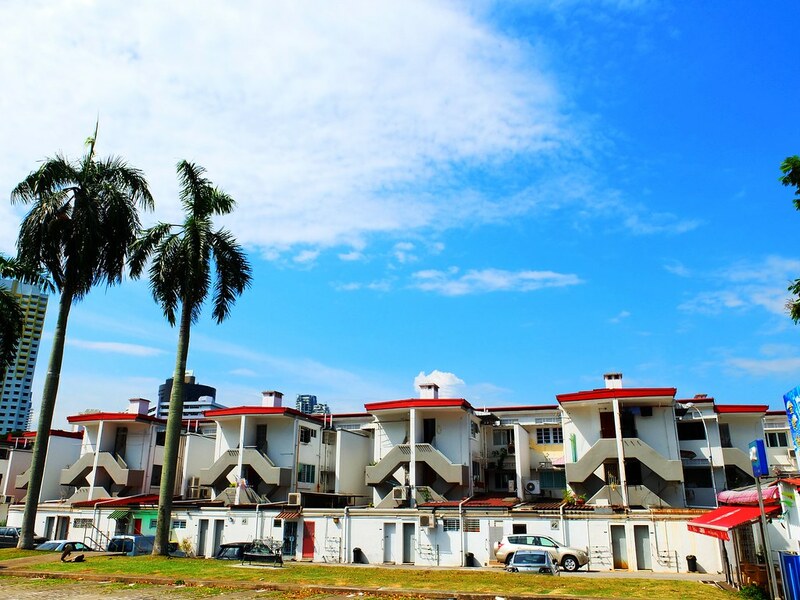 I loved all your posts especially the Nepal adventure. 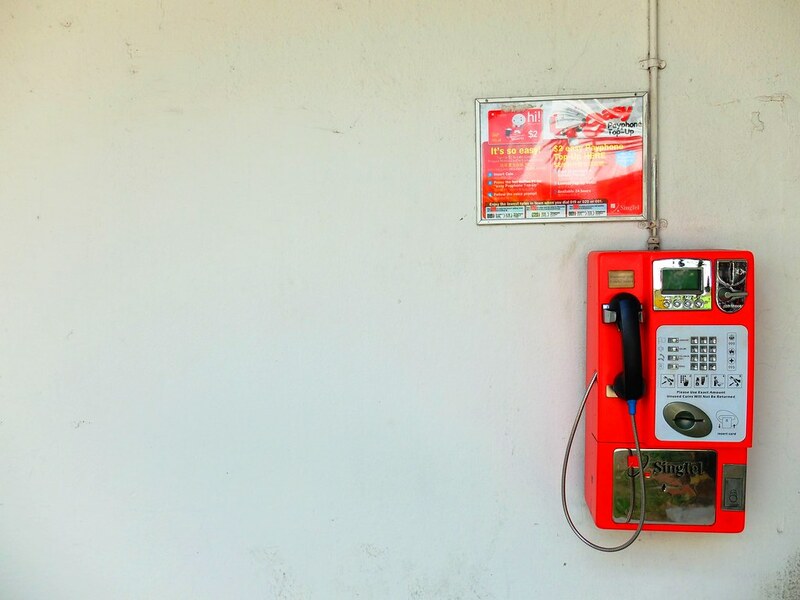 I also shared your Den-en-chofu post in my Facebook, it is where we used to live in Japan before moving back to the states. 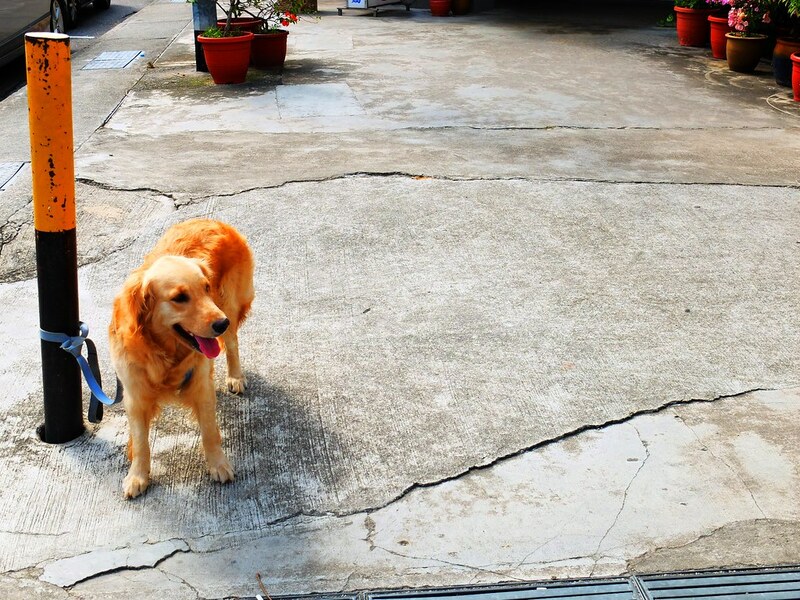 Our first apartment was in Jiyugaoka. 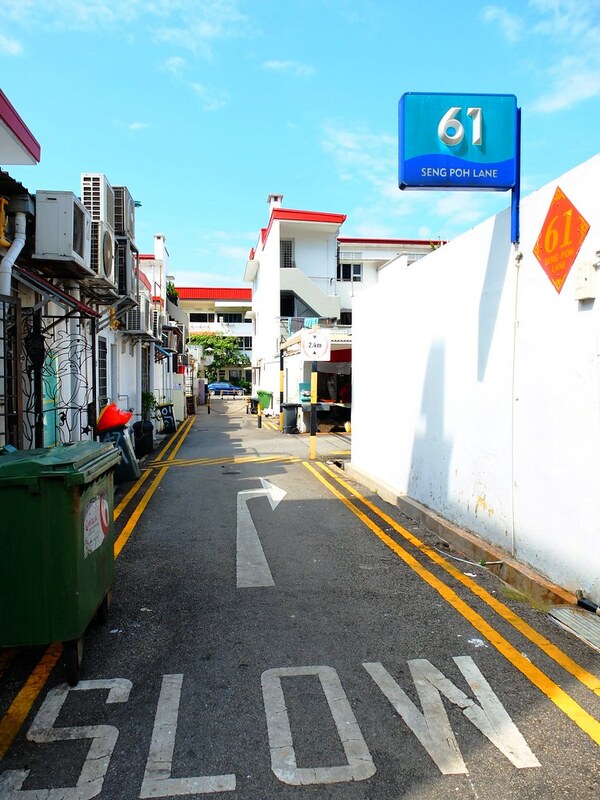 Thank you for this blog. 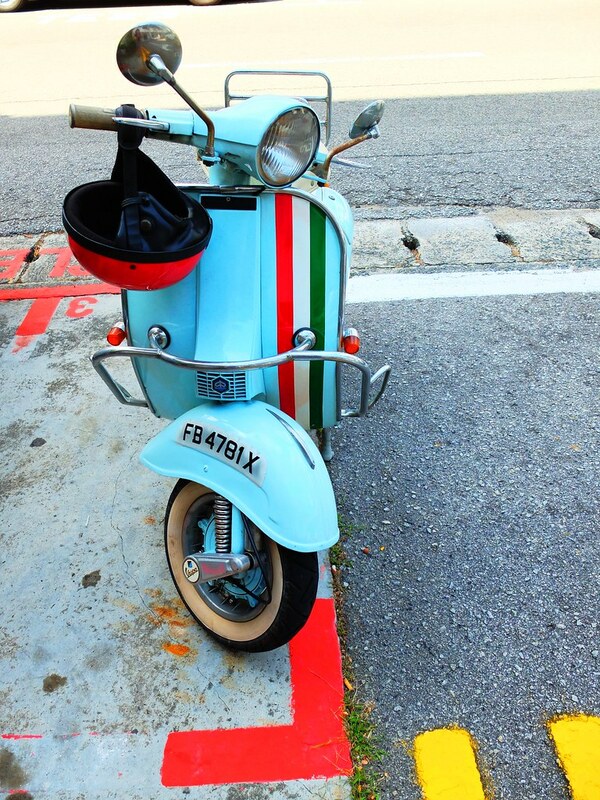 I really enjoy it! 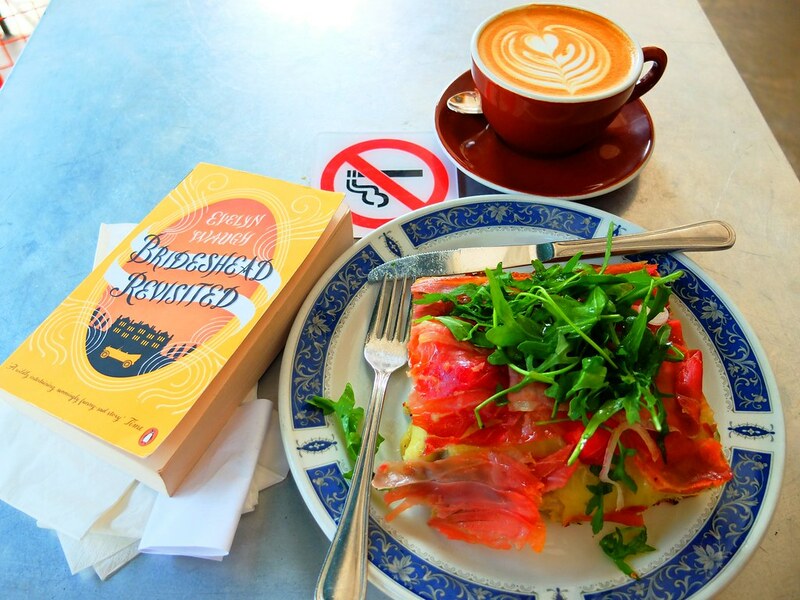 I look forward to reading more!! 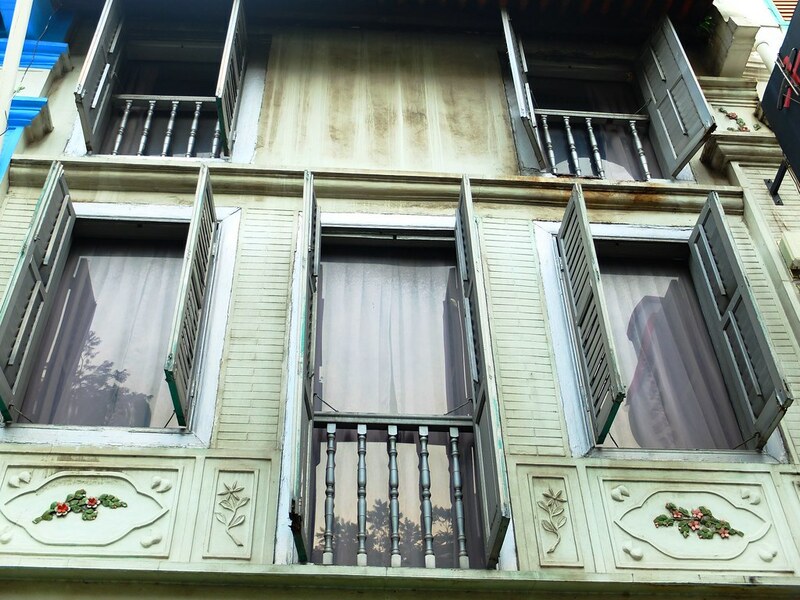 When I attended school in the area, I thought to myself, “Why is everything and almost everyone so old?” Your photos bring a vibrant touch to a rustic charm.